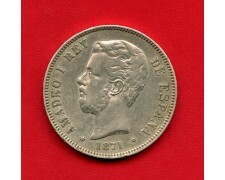 1877 SPAGNA - 5 Centimos bronzo effigie di Re Alfonso XII° (Cat. World Coins KM# 674) discreta conservazione MB/BB. 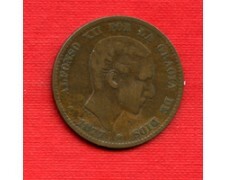 1877 SPAIN - 5 Centimos bronze effigy of King Alfonso XII (Cat. World Coins KM # 674) discrete conservation MB/BB. 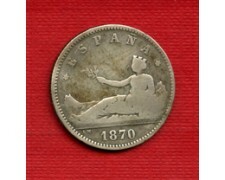 1878 EM. 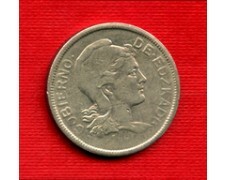 SPAGNA - 5 Pesetas argento 900/°°° Gr. 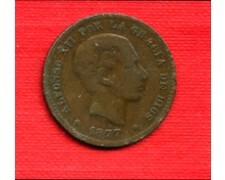 25 effigie di Re Alfonso XII° por. (Cat. World Coins KM.676) buona conservazione BB. 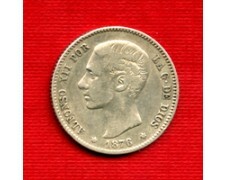 1878 EM. 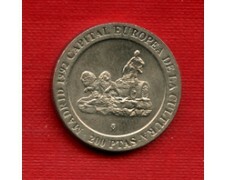 SPAIN - 5 pesetas silver 900 / °°° Gr. 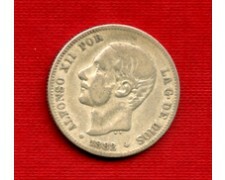 25 effigy of King Alfonso XII por. (Cat. World Coins KM.676) good conservation BB. 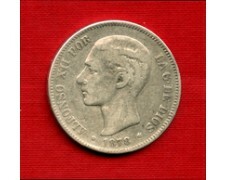 1891 SPAGNA - 5 Pesetas argento 900/°°° Gr. 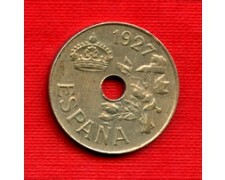 25 effigie di Re Alfonso XIII° infante (Cat. World Coins KM.689) discreta conservazione MB/BB. 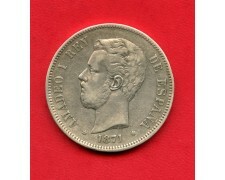 1891 SPAIN - 5 pesetas silver 900 / °°° Gr. 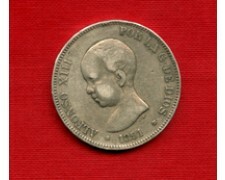 25 effigy of King Alfonso XIII infant (Cat. World Coins KM.689) discrete conservation MB / BB. 1870 OM SPAGNA - Governo Provvisorio - 2 centesimi rame (cat. World Coins KM.661) bella conservazione BB. 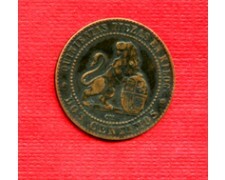 1870 OM SPAIN - Provisional Government - 2 cents copper (cat. World Coins KM.661) beautiful conservation BB. 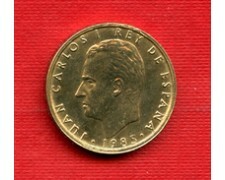 1987 SPAGNA - 200 Pesetas Re Juan Carlos (Cat. 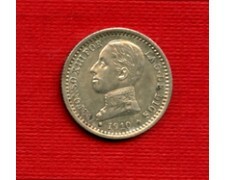 World Coins KM.829) bella conservazione BB. 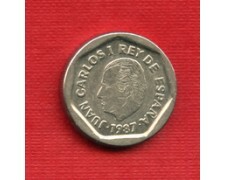 1987 SPAIN - 200 pesetas King Juan Carlos (Cat. 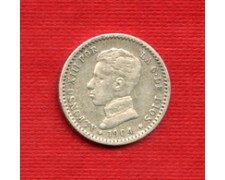 World Coins KM.829) beautiful conservation BB. 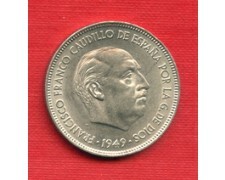 1949 (50) SPAGNA - 5 pesetas Francisco Franco Caudillo de Espana (Cat. 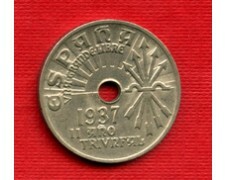 World Coins KM.778) Splendida conservazione Spl/QFdc. 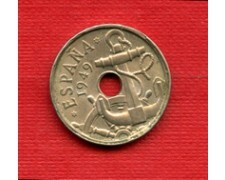 1949 (50) SPAIN - 5 pesetas Francisco Franco Caudillo de Espana (Cat. World Coins KM.778) Wonderful conservation Spl / QFdc.